Our guide to Chicago will help you find the best kid friendly parks in Chicago Illinois. Cutting-edge architecture, legendary blues, and scrumptious dining? Check. 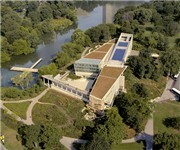 Lavish shopping, world-class museums, and lake views? Check. Glorious parks, major-league baseball, and side-splitting improv? Check. Deep-dish pizza, piled-high hot dogs, and Italian beef sandwiches? There are tons of great kid friendly parks in the city of Chicago, our city guide will help you find the best kid friendly parks. You may have a hard time deciding what to do in Chicago, but we make your decision easy. 1023 W Wrightwood Ave, (312) 742-7816 - Park facilities include baseball fields, volleyball courts, and tennis courts. 10436 S Wallace St, (312) 747-6132 - Fernwood Park is home to baseball, soccer, and softball fields, basketball and tennis courts, an indoor pools, and a playground. 10714 S Sawyer Ave, (312) 747-2883 - McKiernan Playground Park is a kid friendly park located in Chicago IL. 1299 N Western Ave, 4554664760622 - Clemente Park is a kid friendly park located in Chicago IL. 1344 N Dean St, (312) 742-7559 - Dean Playground Park is a kid friendly park located in Chicago IL. 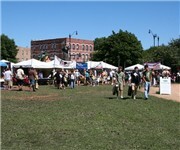 1498 N Sacramento Ave, 4554664760622 - Humboldt Park is a kid friendly park located in Chicago IL. 1809 W 50th St, (312) 747-6097 - Cornell Square Park has playing fields, a sprayground, and tennis courts. 2000 W Belmont Ave, (312) 742-7785 - Fellger Park was one of 42 new city playgrounds and playlots that were being built or opened to the public in 1950. 2021 N Burling St, (312) 742-7898 - Located in Lincoln Park, parents gather with their preschoolers at Oz Park to enjoy the park which celebrates "The Wizard of Oz" theme. 2022 W Cermak Rd - Barrett Park is a kid friendly park located in Chicago IL. 2106 W Adams St, (312) 746-5563 - Touhy-Herbert Park is a kid friendly park located in Chicago IL. 2200 N Oakley Ave - Holstein Park is a kid friendly park located in Chicago IL. 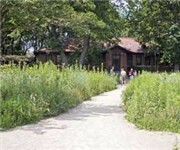 2498 N Meade Ave, 4554664760639 - Riis Park is a kid friendly park located in Chicago IL. 2513 W Wilson Ave, 4554664760625 - Waters Elementary School Playground is a kid friendly park located in Chicago IL. 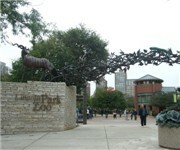 2001 N Clark St, (312) 742-2000 - The Lincoln Park Zoo prides itself on offering something for everyone, from animal exhibits to paddleboats to spray fountains and even a carousel. 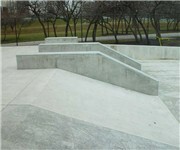 W Wilson Ave & N Simonds Dr - Wilson Skate Park is a kid friendly recreation located in Chicago IL. There are plenty more kid friendly parks in Chicago. See all kid friendly parks in Chicago Illinois.